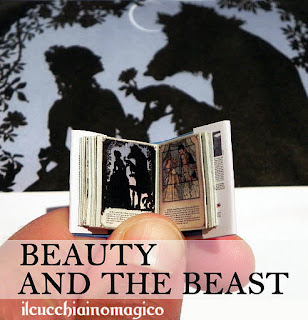 I do try to become familiar with all of my followers, and my newest follower Maria has a Miniature Beauty and the Beast book available on her etsy site, The Magic Teaspoon! It's the Jan Brett version. So cute I had to share! 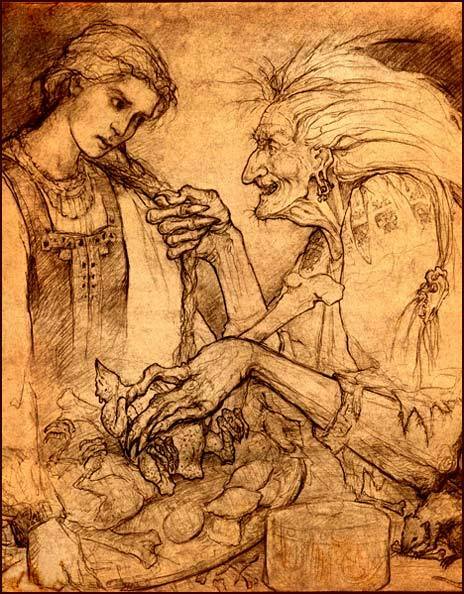 Helen Pilinovsky has a great online article for learning more about Baba Yaga. She is an intimidating figure, living in a mobile hut which stands on chicken legs, flying about on a mortar and paddling through the air with a pestle, and lives in a forest which is the land of the living dead. Sometimes Baba Yaga acts as helper, aiding a traveler in a quest, but she can also be cruel and cannibalistic. Baba Yaga is found in multiple tales all over Russia, which makes her unlike any of our familiar characters in Western lore, for none of our characters transcend the barrier into other stories-in fact it's only recently that it's been popular to combine fairy tales into one world, such as in the musical "Into the Woods" or ABC's "Once Upon a Time". This reoccuring aspect of the character of Baba Yaga makes her all the more formidable. In Pilinovsky's words, "Unlike other villains, who may be defeated once, never to be heard from again, Baba Yaga is not permanently conquerable, for Baba Yaga is far more than just another witch." This is especially interesting in light of the stereotype that fairy tales are merely idealistic and oversimplified stories of good defeating evil and not to be taken seriously. 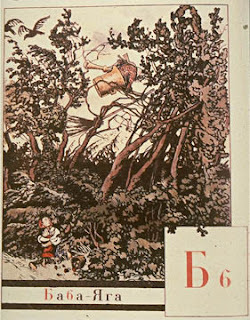 Pilinovsky describes tales in which Baba Yaga appears to die, but returns unchanged, "indicating one of the fundamental tenets of the Russian fairy tale: that while humanity may enact changes for the better, there will always be forces working against them." Pilinovsky identified three main roles that Baba Yaga plays: Cannibal, helper, and figure of malevolence. 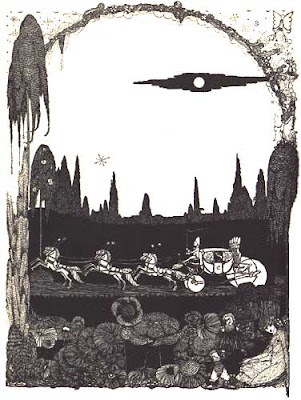 Stories of Baba Yaga as cannibal are often relatives of the tale of Hansel and Gretel, where the protagonist tricks Baba Yaga herself into the oven. As helper, Baba Yaga is not always necessarily willing-but often otherwordly creatures are restrained by sets of rules and must keep their side of a bargain made. In the tale Maria Morevna, Ivan is helped by Baba Yaga, although she tries to trick the hero into failing his duty-but she is outwitted. In Gene Wolfe's retelling of the tale, Baba Yaga is not a witch, but her power is represented by her status as a Duchess, and her ability to penetrate the human heart. Is that not one of the most unsettling aspects of witches and evil characters-knowing just how to tempt the main character to stray from their purpose? Orson Scott Card's novel Enchantment also portrays Baba Yaga as Russian nobility. Pilinovsky sees this trend as a societal turn from attributing power to supernatural forces, to more natural sources. It's not an entirel unlikely jump to make, for nobility are not only powerful but throughout history have been known to abuse their power. Card's Baba Yaga is a manipulator who started as an innocent girl, but was driven to cruelty after being married to an abusive husband. She turns to cruelty and torture, and in the end is defeated by the heroes because of the heroine's having conceived a baby-though Baba Yaga has born children, she is incapable of loving them. 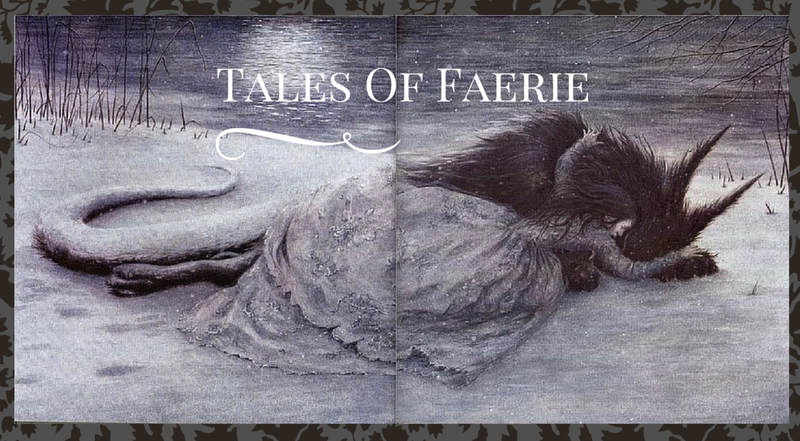 Thus, she is defeated by love, although not dead, and like in folklore, Card hints that though she exits this story, she is still out there and may become a character in another story. "This is a double wedding. Rose Red marries the prince's brother. the ill-fated count and his chunky new wife. You see, not all the bewitched become noble bears. 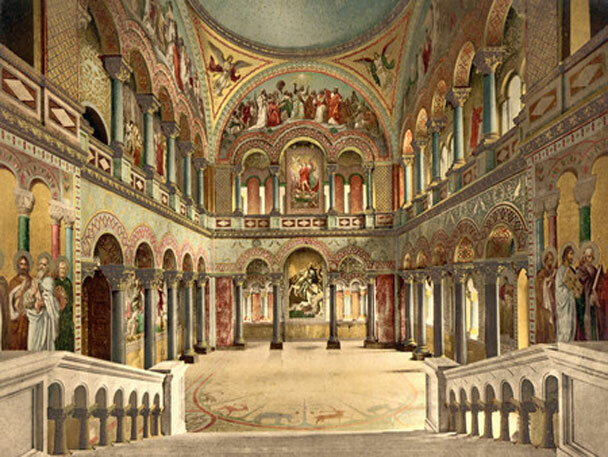 of the beastly hearts they always bore within"
An excerpt of a poem by Cory-Ellen Nadel, full text available to read here. There's a whole list of fairy tale poetry, I picked this one to feature simply because Rose Red is a character more overlooked in most fairy tale treatments. A lot of modern writers are challenging the ideas of "happily ever after" and what it's assumed to mean; this poem also plays around with the idea of inner verses outer beastliness. When children are young, they are what we call concrete thinkers. This means that they understand things based on concrete objects they can see, and not abstract concepts. As a special ed teacher, many of my students are stuck in the concrete thinking stage. They probably interpret phrases literally and will be confused at puns or words with double meaning. For example, using a phrase like "looks like the cat's out of the bag" is something adults may use and the meaning is obvious to us, but a concrete thinker may start looking around to see where this cat is and wondering why it was in a bag in the first place. When young children learn math, they can learn basic arithmetic by using physical objects to represent an equation. Two apples plus one apple equals three apples; children can add and subtract by counting with their fingers, and that's why our math system is in base 10. But when it comes to algebra, and the concept of a variable is introduced, that's abstract-a letter which doesn't really represent a letter, but an unknown numeric value. In order to understand algebra, one has to be able to entertain an undefined idea that can't be represented by an object or picture. Really this is what fairy tales do, although the same argument could be made for fantasy or fiction in general. Except in rare cases, children are able to understand when they hear a story, especially one that begins in "once upon a time" and isn't intentionally presented as a true story, that it didn't actually happen. Therefore they're entertaining ideas in their heads that they know aren't physically real, or thinking abstractly, but in a basic, graspable form. Even more in fantasy and fairy tales, as children learn more about the world, they're able to take in many events in a fictional story and separate in their minds what is not true but could be true, such as Cinderella doing housework, with what is not true and couldn't possibly be true, such as a pumpkin turning into a coach. Very young or concrete thinkers may be confused by this, but an older child who is not yet an abstract thinker won't have to be specifically taught that pumpkins can't turn into coaches to know that that element of the story was magical. And yet it's fun for children-and most adults, I believe-to entertain the notion of living in a world where such a thing would be possible. I think this is what Einstein meant. It appears to have worked for me-I devoured fantasy as a child and was always good at algebra. Although I can think of people who read lots of stories and fantasy and still didn't understand algebra, so again, it's not meant to be the newest method in math education or anything. 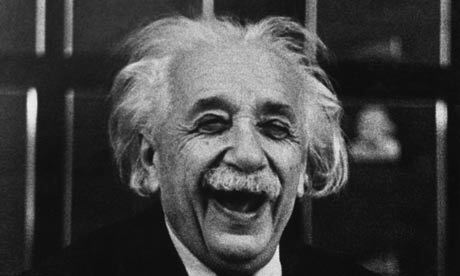 But if Albert Einstein said it, it must be legit, right? 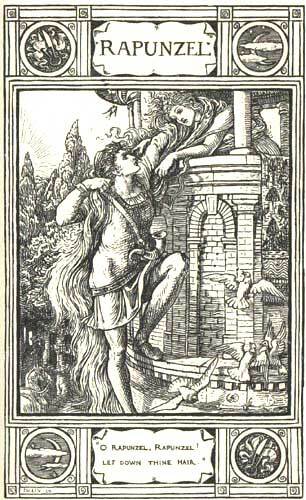 "The Godchild of the Fairy in the Tower" is much like the Rapunzel story we know and love, with few minor details...until a rather surprising ending. There once was a woman who found she was with child. She was overcome with the desire to eat cabbage, but the only cabbage was that of a fairy, and she didn't dare ask for any. So she snuck in and took some during the night. The next day the fairy noticed the missing cabbage heads. The woman ate the cabbage for two days and then ran out, and went back on the third night. This time the fairy became angry and decided to catch the theif. The fairy attached bells to all of the cabbage heads. When the woman came back a third time, the fairy heard the ringing of bells-first one, then two, then three. By the third bell, the fairy had come out and demanded the woman pay for the cabbage heads. The woman begged for pardon, telling the fairy that she was with child and had had a strong desire to eat cabbage, but wouldn't do it again. 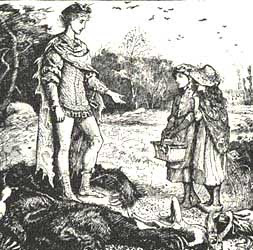 The fairy granted pardon, but only on the condition that she become godmother to the child the woman was carrying. The woman agreed, and went home and told her husband all that had happened. When the baby was born, they went to get the fairy to act as godmother. 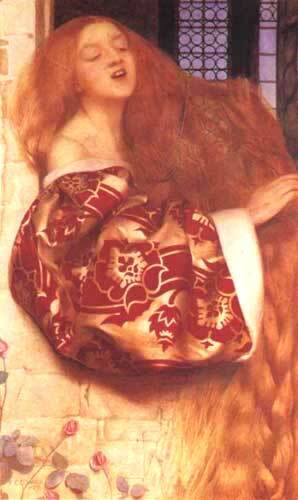 The fairy gave her goddaughter a gift-she would have golden hair and would be the most beautiful girl in the world. Then she said that she would take over the girl's education as soon as she was old enough, and would come to get her. When the time came, her parents were very sorry to see her go, but there was nothing they could do. The fairy told her godchild she would be very happy if she behaved as she should, and the girl promised she would. She was given a dog to keep her company. 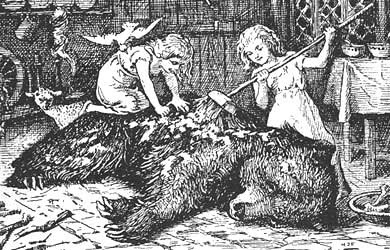 The fairy showed her the chores the girl was to do, and then left on a trip. The girl was given instructions to close all the doors tight, and when the godmother called, "godchild, give me your golden hair," to pull her up through the window. The godmother came back from her trip and all things went as she had instructed. The next day the fairy went on another trip, for two weeks, and the child got bored, and spent her time waiting at the window, and passersby noticed and wondered about the beautiful girl. 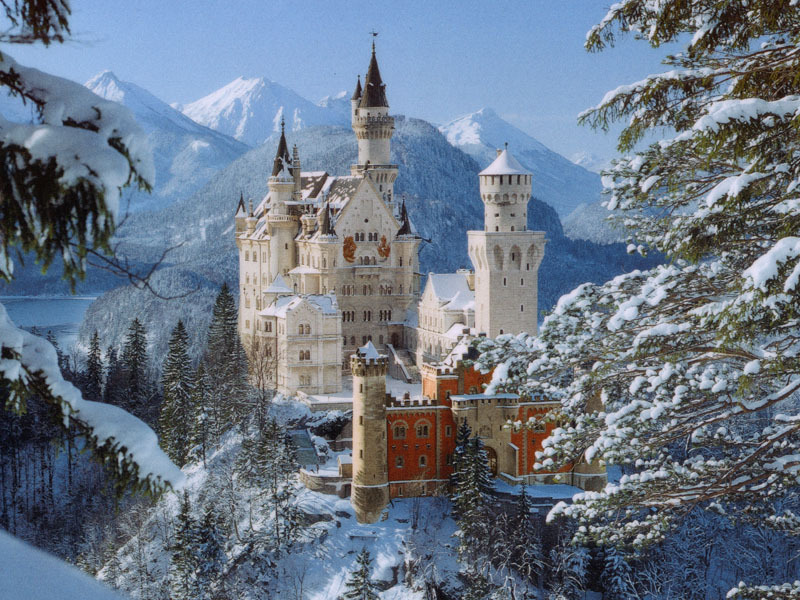 A prince was among those, and as he stopped to see her better, saw the godmother come home and gain entry to the castle by way of the girl's hair. Once the fairy asked if the girl had been good, she left the next day again on a trip. The prince came by and talked with the girl, and promised to return again. He came back and climbed into her chamber through the window with her golden hair. When the fairy returned, the dog said, "Your godchild made love with the prince." "What is the little dog saying?" asked the fairy. "Godmother, she says that I have worked well and that I have cleaned the rooms carefully." The next day the fairy left, but only for two days. When she returned, the dog said that the godchild spoke with the prince for a long time, but the godchild claimed the dog was just saying she had worked well and set everything in order. 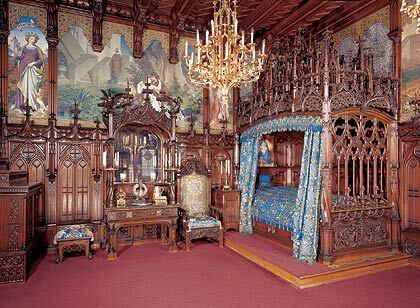 The next day the fairy came back while the prince was still in the girl's room, and he hid behind the bed. The dog told her, and the fairy pretended not to know and went in the other room. 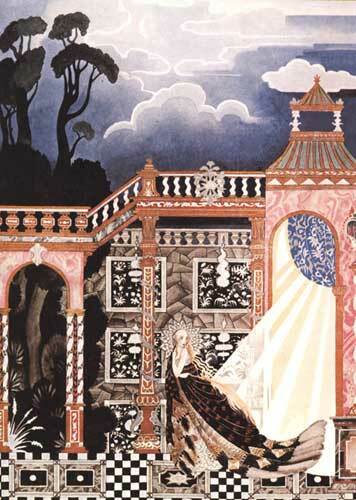 The next day the prince came and took the girl with the golden hair away, but the dog came and told the fairy. The fairy called, "Godchild, may you turn into a frog and may your prince have a pig's snout." As soon as the wish was expressed, the beauty with the golden hair turned into a frog, and the prince grew a pig's snout. It seems that this story was influenced by other Rapunzel versions. The word "tower" only occurs in the title, and the fairy appears to live in a regular house on ground level, with multiple doors that are simply not used for some reason. There is also no mention of the girl's hair being especially long, but golden. So the main images associated with Rapunzel-the girl with the fantastically long hair imprisoned in a tower in the woods-are not present in this version, making it a little less memorable. Also, I think the fairy seems a little more sympathetic in this version. Offering to become a godmother and provide education seems like an extremely gracious response to someone stealing from you, although how she expected to educate her when she was going on trips all the time is questionable. Really, young girls who have just reached the age to begin their education should not be sneaking boys into the house, although if you're going to leave for two weeks at a time, you shouldn't be all that surprised when it starts to happen. The ending seems so sudden, and it's like the reverse of most animal bridegroom/bride stories that start with a prince or princess cursed to be a pig or frog and end with the transformation to human. But, the next time someone accuses fairy tales of being idealistic and always ending happily ever after, you can add this tale to the list of tales that actually don't end happily. 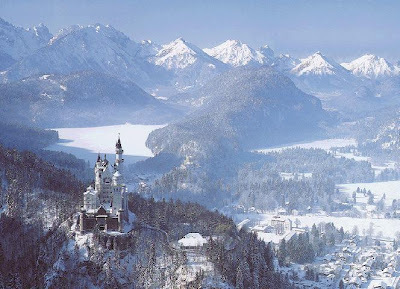 Neuschwanstein is often referred to as a fairy tale castle, which is usually meant in the general sense that it is idyllic, beautiful, and other-worldly, not necessarily because it has to do with actual fairy tales. However, King Ludwig II of Bavaria was inspired by German stories and legends-this was the century when the Grimms' tales made their appearance, and German stories were thought to represent the essence of what it meant to be German. 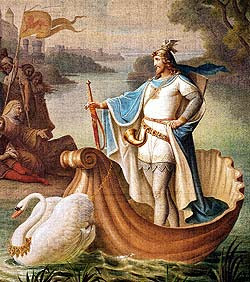 The King was most inspired by the legend of the Swan Knight, which is not technically a fairy tale but a saga, but is similar to fairy tales-the knight Lohengrin appears in shining armor on a boat drawn by a swan to save the damsel in distress. 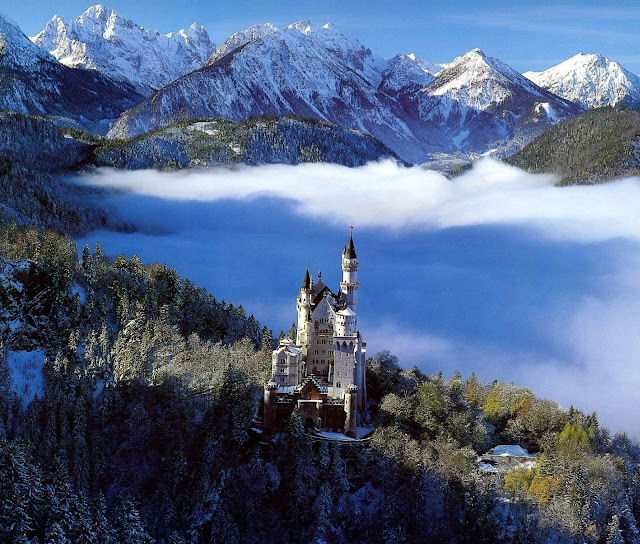 In fact, the story is more like the negative stereotype people associate with fairy tales than actual fairy tales. 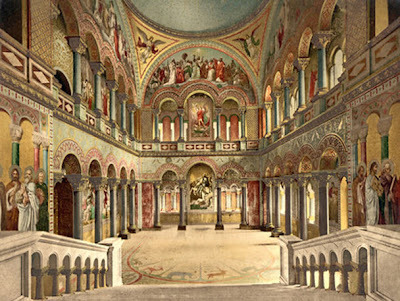 Nevertheless, the King identified himself with the knight of the legend and used the image in the murals in his escapist home, such as the one below. 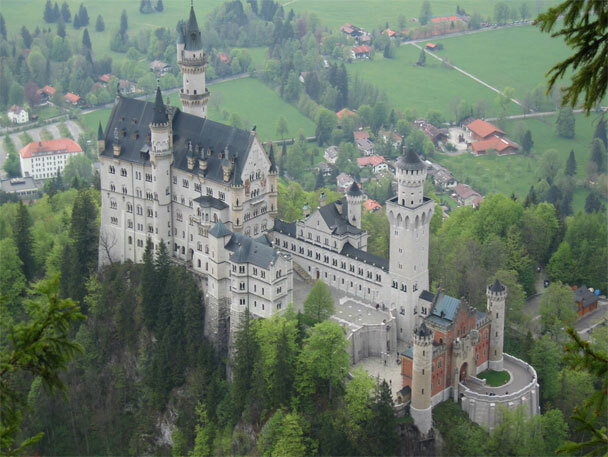 The castle is truly breathtakingly beautiful and was also one of the main inspirations for the Disney theme parks' castles. Then, in her post on Passive and Dumb heroines, Megan addresses the fact that traditional princesses are always attacked for being, supposedly, so anti-feminist. When I first started reading about fairy tales I was offended at this assumption but eventually grew so used to it I started to see the tales that way myself. And it is important to realize some of the implied messages that come across in many versions of fairy tales, and yes a lot of the females we're familiar with do take more passive roles than their male counterparts, but Megan defends Sleeping Beauty, Cinderella, and Snow White and points out their good qualities, even in the old, non-feminist versions. It's really a great post and so refreshing, because I get a little tired of the super feminist warrior princesses we see these days, because it seems that anything less is sexist, but that's simply not true. When you think about mirrors in fairy tales, especially in Snow White, they get a negative vibe-like in Gilbert and Gubar's essay where the mirror is seen as representing the Queen's narcissism . 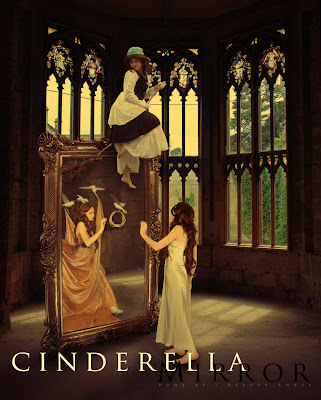 But I stumbled across a Cinderella variant with a pretty cool use of mirrors, that represent truth and inner beauty more than obsession with self, or could be seen as a way of foreshadowing. In this Hanoverian version of Cinderella, while Cinderella is still a servant, she peeps into a room with a mirror with a golden frame, and sees "a lovely girl radiant in royal robes" and wearing a gold crown, but doesn't recognize the person in the mirror. At the end of the tale, after she's wedded the prince, she looks in the mirror and sees herself, and realizes it's the same image she saw in the mirror before, but never knew until then that it was herself. I hadn't heard this version of Cinderella before, but this image on deviantart captures the spirit of it. Tale found in Harold Bayley's "Lost Language of Symbolism" from 1912.